I am on the development team for a ministry called NBS2go. 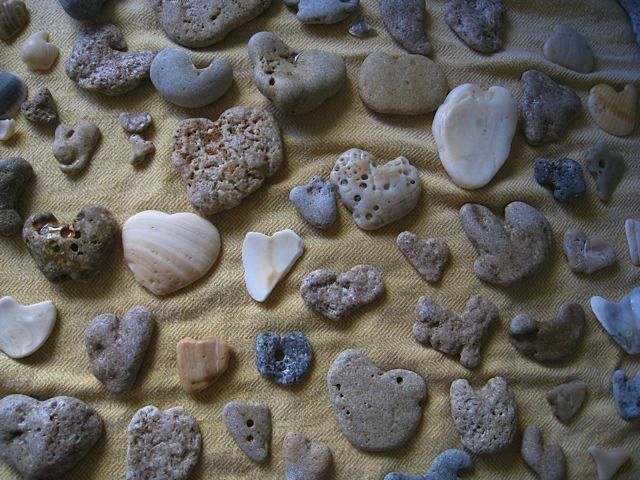 (Neighborhood Bible Study to Go –www.NBS2go.com ) The founder of this ministry is kind of obsessed with rocks, shells, and just about anything that look likes a heart. She loves to share how God revealed to her through these hearts that God is awakening hearts all around the world, through neighborhood Bible studies. She has quite an impressive collection to say the least! 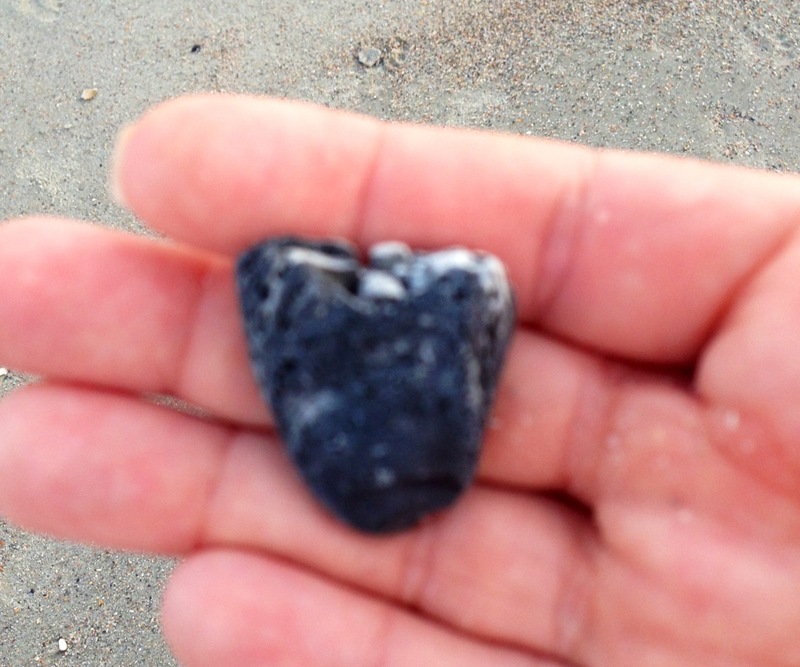 It’s always exciting to see another heart shape in something… She seems to find them EVERYWHERE! 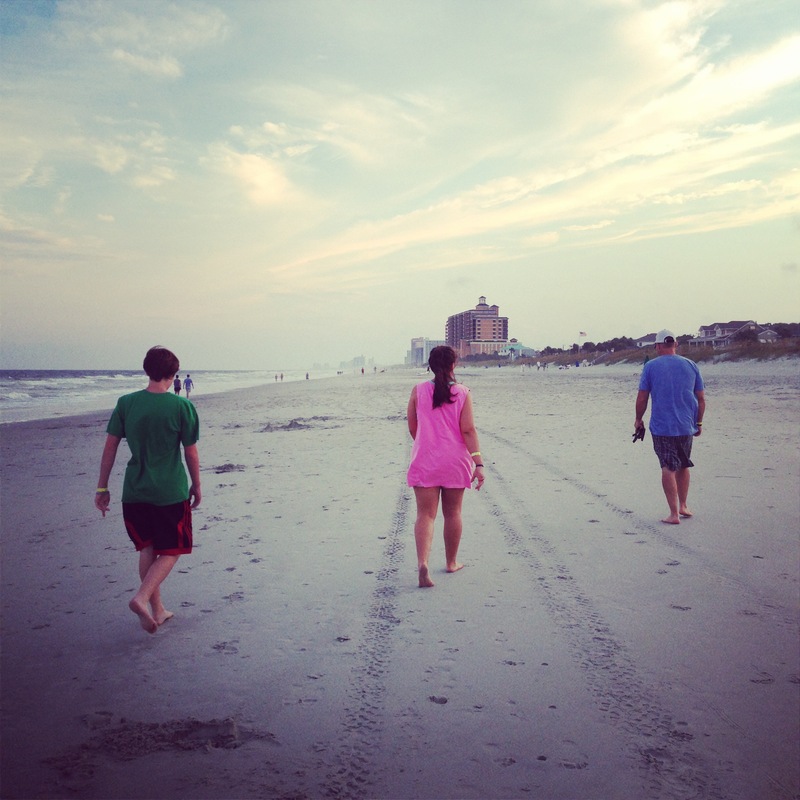 Yesterday I was at the beach with my family. My husband and 2 of my kids went walking after dinner, and my husband asked me if I was keeping my eyes open for “hearts” for my sweet friend. Wow. Honestly, I hadn’t been looking. I was too concerned with walking in the sand and not stepping on something sharp. So, I begin looking. My husband found one right away! I kept walking and walking, and looking. I would see one, that kind of looked like a heart, but not a really good one – I wanted a totally obvious one – no imagination required! We walked for quite a while before turning back. I kept looking and passing over the partial looking hearts… and then it hit me. How many times am I too busy or concerned with my own walk or my own safety (mental or physical) to seek out hearts for God? How did my heart look when someone shared that love with me? Then when I do finally decide to look, it doesn’t matter how long I walk, or have walked… How many hearts have I walked right passed, and not shared the love of Christ with because I didn’t think the circumstances were “just right”? Imagination required. Or better yet, faith required. )I love how the Spirit reminds me of truth, and opens my own heart and eyes to the love He has for every single heart out there. The good news is that it’s never too late. My prayer is that I will find one, either on the beach tomorrow, or back home in my very own neighborhood. Really. | Theme: Matala by Nicolo Volpato.